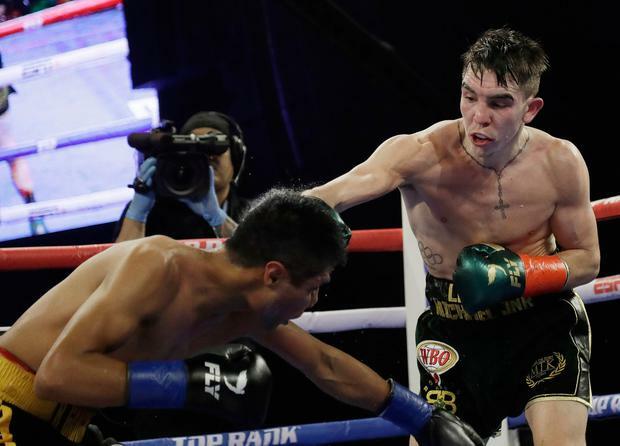 Belfast boxer Michael Conlan has been criticised after walking out to his latest fight to a song referencing the IRA. The Top Rank fighter eased to a points win at Madison Square Garden in New York on St Patrick's Day against Ruben Garcia Hernandez, however his choice of entrance music drew some criticism. Belfast councillor Julie-Anne Corr-Johnston said: "Mick Conlan's ring entrance is absent of class and redundant of leadership. He may go on to win belts and titles but today he’s lost hearts and minds. Disappointing." DUP councillor Brian Kingston said: "Very disappointing that Michael Conlan does not follow the lead of many previous boxing and sporting heroes so that people can support him across the divide. Disgraceful that he has no regard for the victims of IRA terrorism."